New update, with additional features and a smoother user interface. 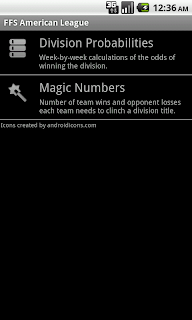 Added ability to determine playoff and division magic numbers for the current season. Added menu option on the playoff probabilities page to manually stop a playoff probability calculation. A manual start can occur by clicking the "Recalculate" option. Removed an auto-backup feature which was causing freezing on slower phones. Playoff probability calculations are now only saved at completion or manual stop. Re-ordered non-playoff leagues by their probabilities, not expected wins. 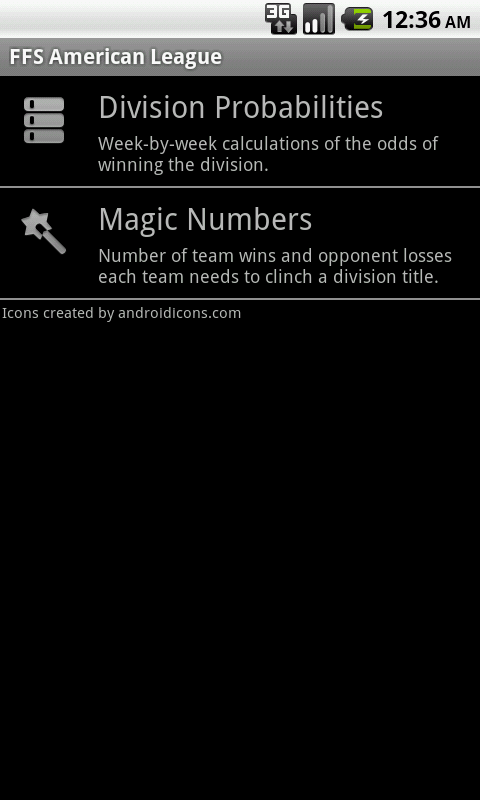 Fixed a bug where non-playoff leagues would return a "playoff settings error." These leagues will be treated as leagues where only the division leader makes the playoffs. 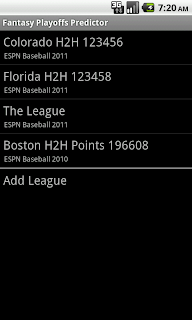 Fixed a bug where leagues would not load if their schedule contained byes. Both the full version and demo are now available on Android Market. The price of the full version has been dropped to $1.99! Added menu option on the playoff probabilities page to copy the data to the clipboard. Added menu option on the playoff probabilities page to re-calculate a week's data or an entire season's data. This will not interrupt a currently calculating week. Fixed a bug where the app would re-check for an stats update even if it had just found that there was no stats update. 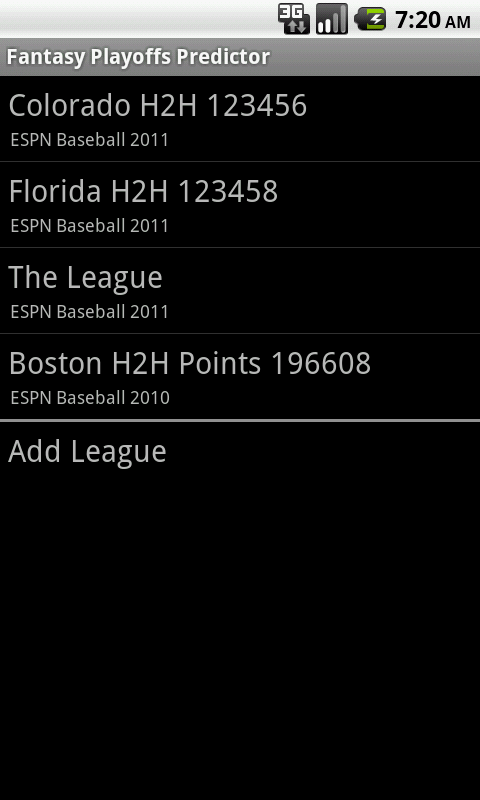 Fixed a bug where team names would not be displayed properly in leagues without playoffs. Inflation Calculator has been updated to reflect an updated conversion rate for the year 2011, based on the CPI data released today by the Bureau of Labor Statistics. It also now contains the ability to move the app to the SD card. Added the ability to calculate probabilities for older baseball seasons (2004-2010). Reduced the frequency of a bug where the standings were sometimes ordered incorrectly. Fixed a bug where the refresh settings button did not work.